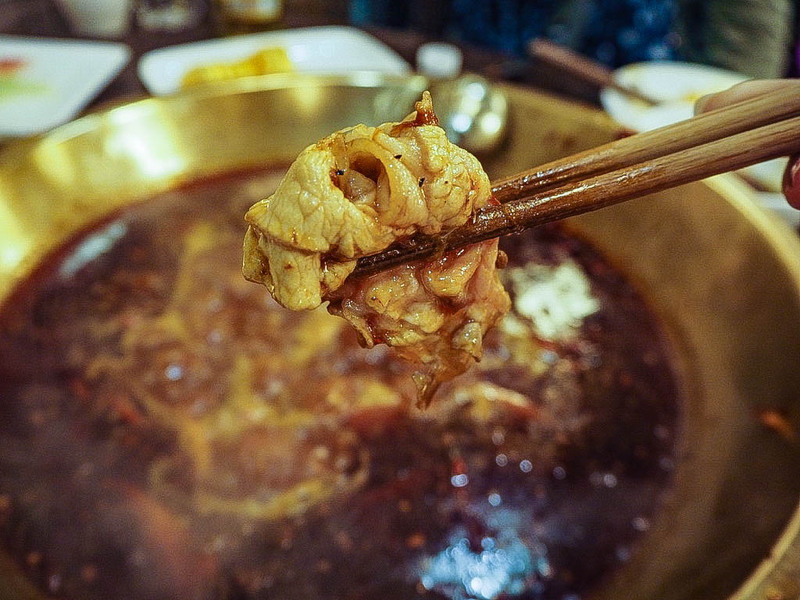 When I went searching for culinary adventure in Chengdu, I didn’t expect to find a food experience quite like this. 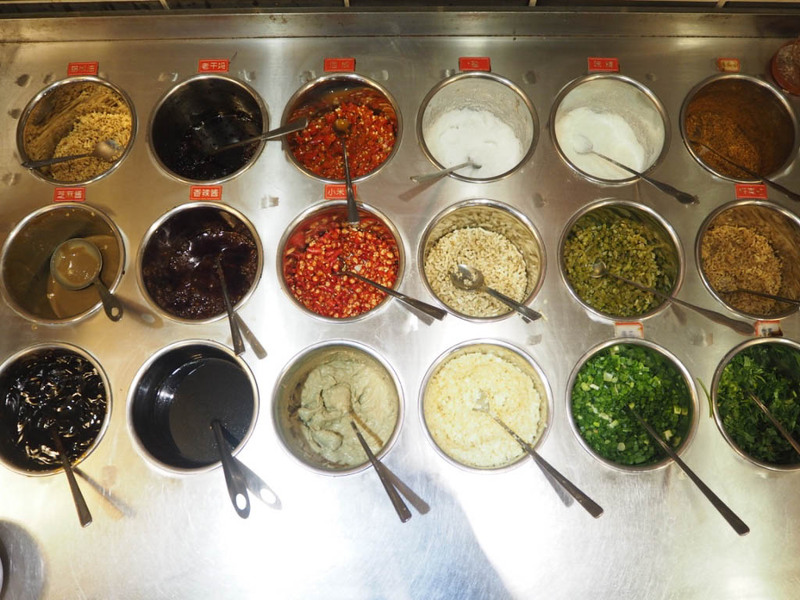 Chengdu is in China’s Sichuan province – the area of the country known for its peppercorns, chillies and fiery oils. 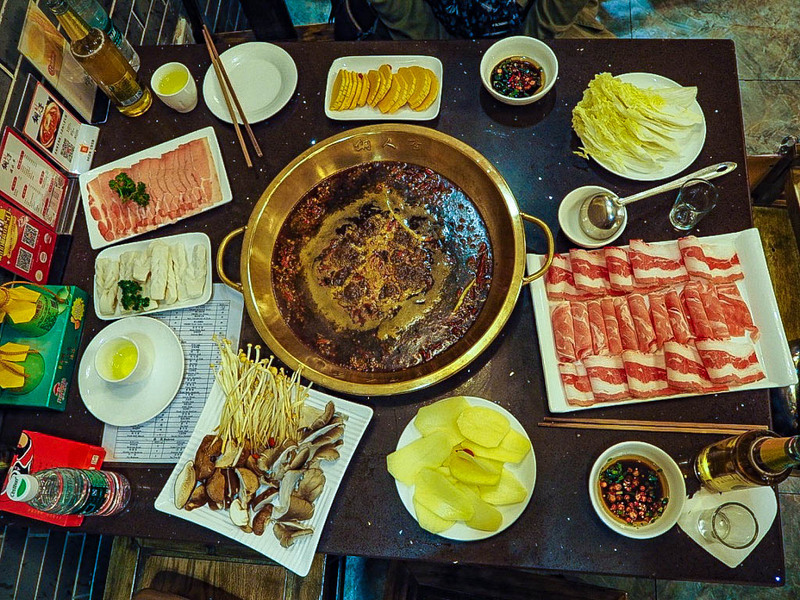 The city itself is the home of hotpot, the Chinese dish where you essentially cook your own food at the table. 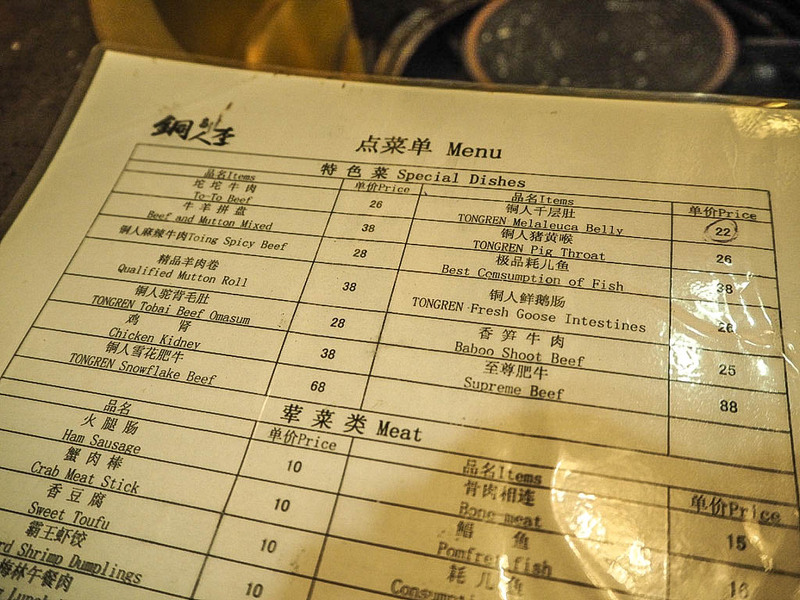 After eating hotpot previously in Beijing and again at Shuang Shuang in London, I knew what I was doing, which was lucky as the staff in this particular restaurant didn’t speak one drop of English. 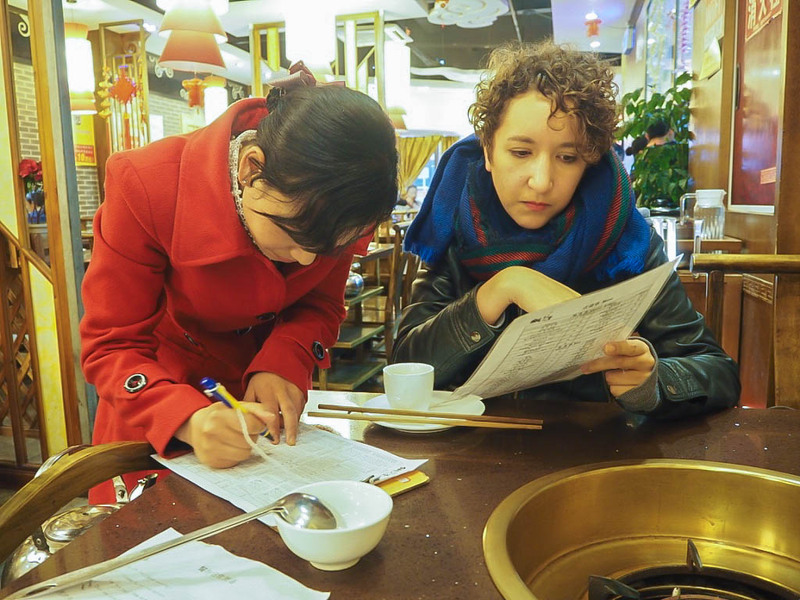 We were given a menu and began our attempt to read through some terrifying translations, before doing a lot of pointing and awkward smiling to try and make our order. This was, unbeknownst to us, our key mistake. 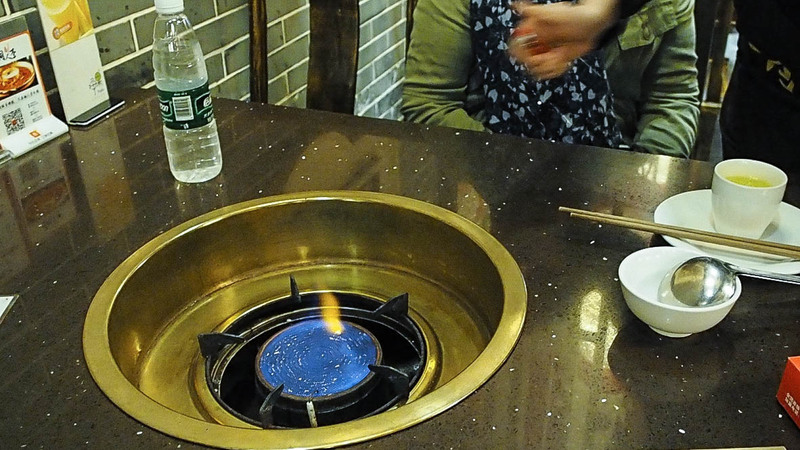 Never just nod and smile in a restaurant where the speciality dish is basically made of liquid fire. As soon as our broth was served we knew we’d fucked up. 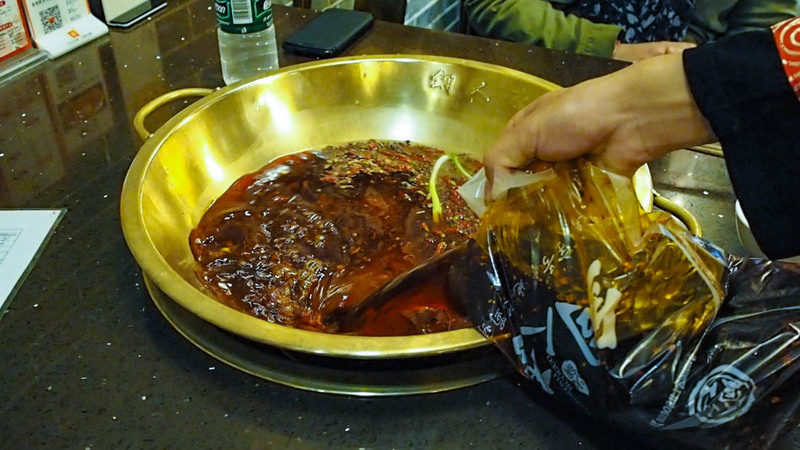 Blood red, swimming in chillies and a very nervous waiter setting us up to get boiling. Essentially, if you took a healthy slice of hell, mushed it up with fresh sunbeams and sprinkled over a hint of bonfire, you’d have the broth that we ordered. It burnt my nostrils just smelling it so it wasn’t surprising that my lips basically melted when I first sampled it. 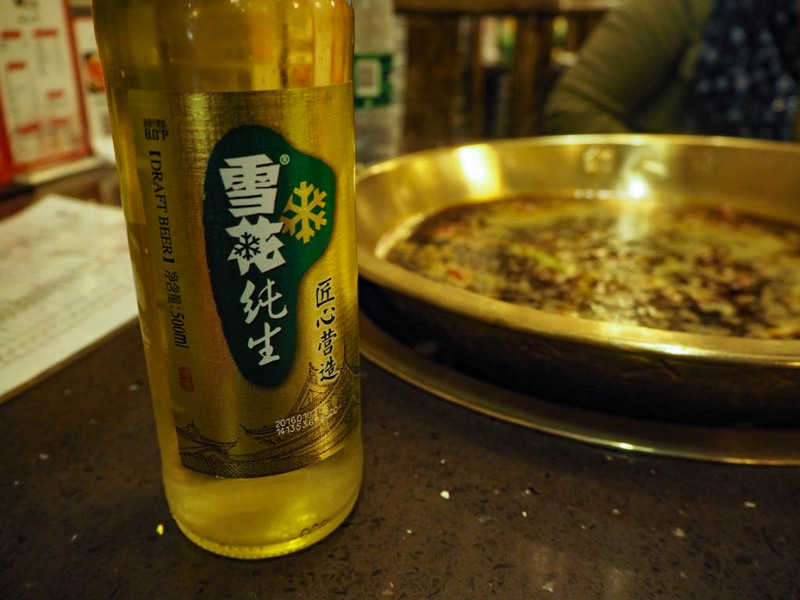 But I get stubborn when I’m hungry and I’m all about having ‘cultural immersion’, so I persevered with the help of many a cold beer (thankfully my friend knew how to order them in Mandarin or I may not have lived to tell this tale!). Through fear of mis-ordering, we instead over-ordered on items to dunk into the inferno soup. 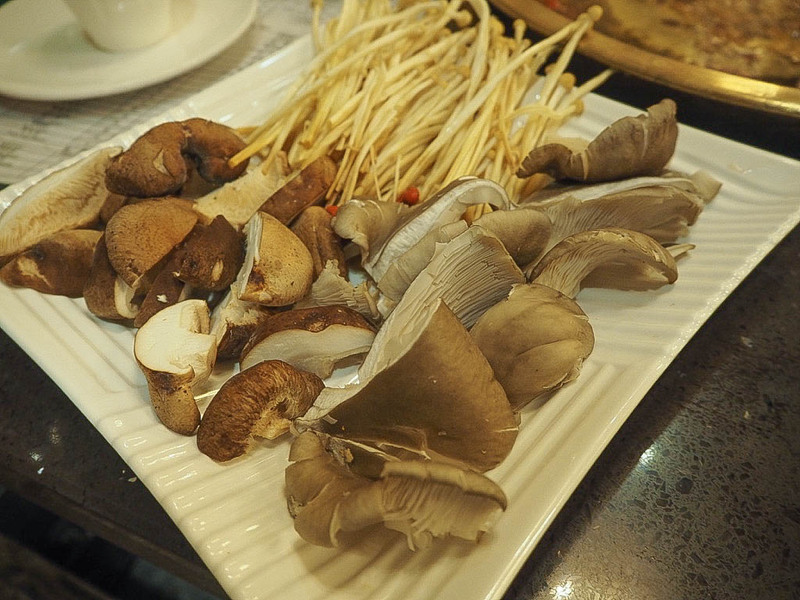 We indulged in a variety of Chinese mushrooms, potato, pumpkin, tofu and cabbage, as well as raw bacon and chicken. 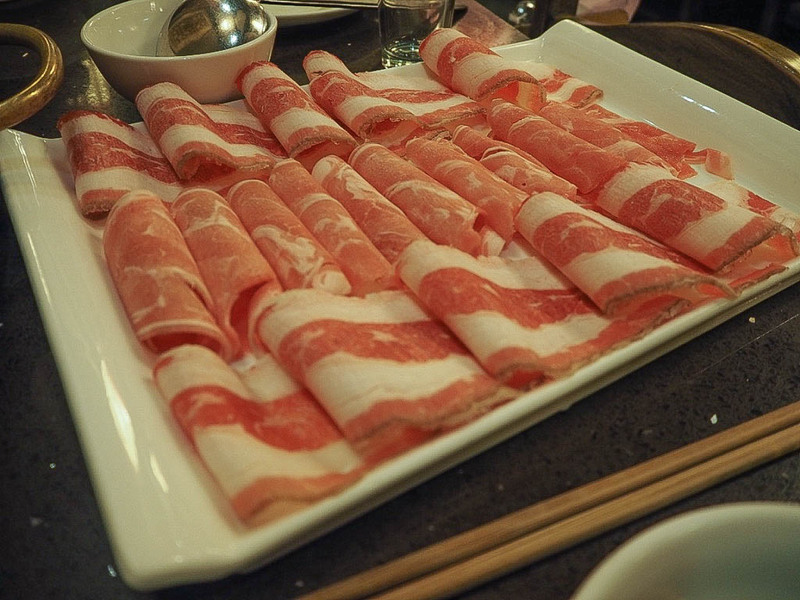 I used my poor chopstick skills to dunk things into the fire juice for 30-60 seconds which allowed everything to be cooked up perfectly and soak up all the flavour. When the heat was too much, we threw things into our dipping bowls where we’d mixed up sesame oil, soy sauce and spring onions. Or just ate raw cabbage leaves because desperate was far too real at certain points. Gum dissolving pain aside, the taste was incredible. The heat was wrapped in deep, warm flavours that hinted at sweet but ended in sour, and then punched you in the tastebuds with evil glee. We left full and bloody exhausted. Man vs Food has got nothing on this.